This article first appeared in The Edge Financial Daily, on April 19, 2018. Denia Montgo Mountain, near Denia in Spain. Travel trends come and go, but unlike those in food or fashion, they often move at an iceberg-like pace. It’s why your friends are still telling you to go to Iceland five years after it became a thing, and why you can’t stop seeing pictures of blue-and-white Portuguese tiles all over Instagram. So we turned to the experts at the forefront of the travel industry — agents you’d hire to help you decide where to go next, or their bosses — to find out what’s creeping in on their radar. These are the places that our sources would rather keep secret, if only they were allowed to. Though these are unspoiled and uncrowded, their obscurity is only temporary. Word is already getting out about destinations such as Puglia, the architecturally-fascinating heel of Italy’s boot, which came up again and again in conversations with multiple specialists. Also, it’s only a matter of time before the rest of these vacation spots become the talk of every town. Get there first, or regret it later. 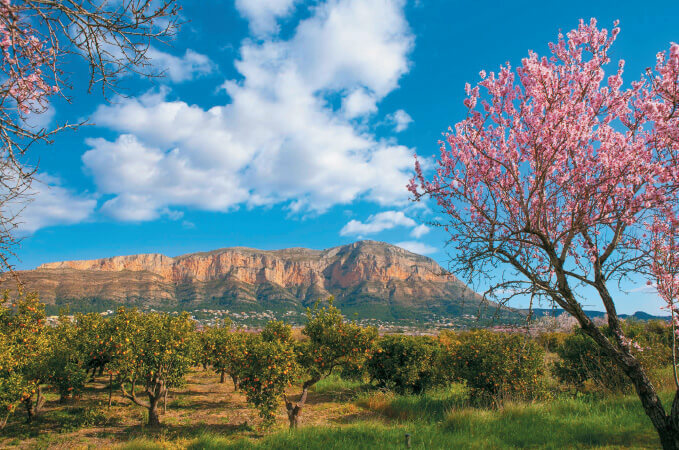 Most people see Denia, a port city on the east coast of Spain, as nothing more than a gateway to Ibiza — it’s the main terminus for ferries to the Balearic islands. However, bespoke travel outfit Black Tomato co-founder Tom Marchant sees it as a worthy destination unto itself, a starting point for lush, outdoorsy adventures. “It’s also home to incredible food,” he says, picking the old-school Jamonal de Ramonet as his “favourite place for tapas in the entire world”. Hikes in mountainous Mongto National Park, a protected expanse next to the city, offer stunning views evoking Rio or Cape Town. Also, just 30 minutes afield, in such tiny towns as Jalon, you can bike from a bodega to another for tastings of local wines (mostly muscatel) and home-made cava. Stay at the lovely Hotel Buenavista, where breakfast is served under a soaring atrium, and the rooms have charming beamed ceilings. If you’ve had your fill of Europe’s iconic capitals, look a little further east to the capitals of the Silk Road. Georgia’s capital Tbilisi is one of the most accessible places to begin, thanks to its luxurious hotels and thriving nightlife. “It’s one of my favourite cities,” says Exeter International founder Greg Tepper, “and just now, it’s starting to enter into people’s thoughts for travel”. (That’s why we put it on our annual list of places to visit this year.) Tepper says the food makes Tbilisi especially tempting: “Georgian cuisine is truly some of the best in the world,” he says, and “they invented wine 5,000 years ago”. His favourite vineyard Chateau Mukhrani was once owned by Georgian royalty, and continues to make the best version of saperavi, a tart local varietal. Want to go farther off the beaten path? Try Bukhara, an ancient city in the middle of Uzbekistan. “The architecture is astounding, like stepping back in time,” says Tepper. You’ll see 11th century brick minarets and dozens of vibrantly-hued, mosaic-tiled madrasas, or traditional Muslim schools. The shopping is equally worthwhile. (Think handmade silk and carpets.) Hotels here are still modest, but some are impeccably situated; a stay at Hotel Omar Khayyam, according to Tepper, has views that will make you feel as if you’ve woken up in an architectural museum. “We often take our clients into a beautiful local family home and they make traditional plov, a type of rice pilaf, for them. It’s unforgettable,” he adds. The Treetops Hotel in Aberdare National Park became an icon, thanks to Queen Elizabeth II, who inherited the throne while vacationing there. However, despite its royal connection, the property lags far behind Kenya’s coterie of six-star hotels. “Travellers are always asking for the treetop experience,” says Africa specialist Teresa Sullivan, a partner at Mango Safaris, but “until now, there have been none of quality”. Enter Sarara Tree Top Camp, opened late last year in the country’s northern Matthews Range. “It’s an incredible community-owned lodge with spacious tents built 17ft off the ground in the trees,” she said. The semi-nomadic Samburu people have turned the area around from a one-time poaching site to a successful conservancy, even inspiring neighbouring villages to join them in forming a protected patchwork of 3.5 million acres (1.42 million hectares) in northern Kenya. It also offers more in activities than your typical safari does: Guests can spend days tracking lions, of course, but they can also immerse themselves in Samburu culture (with an interpreter’s help) and visit the nearby Reteti Elephant Orphanage. Marchant, meanwhile, prefers Finland during warmer months, when you can rent country houses with saunas on the archipelago stretching between Sweden’s capital of Stockholm and the medieval city of Turku. “Head out there during midsummer,” he advises, “and spend time sailing around and between the islands.” Then do as the locals do: Unwind with a cold Lapin Kulta (a type of Finnish beer), grill your own dinner over a barbecue, and marvel as the sun stays suspended along the horizon late into the night. If you watched James Cameron’s Avatar and assumed it was based on a purely fictional world, you’ve guessed wrong. The landscapes in the Oscar-winning film are based on a little known, Unesco-protected park in China’s Hunan Province. It’s all accessible via a three-hour flight from Shanghai or Beijing. “You need at least three full days to explore the astonishing Wulingyuan Scenic Area,” encompassing several national parks, says Heald. Devote one of those days to Zhangjiajie, a national forest made up of skyscraper-tall sandstone pillars, then check out the aptly termed “99 hairpins road” and the terrifying glass bridge towering above the Zhangjiajie Grand Canyon. Two four-star hotels exist within the scenic area — a Pullman and a Crowne Plaza — meaning you can easily explore the real-life Pandora without roughing it.